Introducing the all new Panel Builder from H2trOnics. Panel Builder is an online water treatment panel configuration tool designed to streamline the equipment selection process. Get a complete control panel quote in minutes with Panel Builder. This includes a quote with detailed pricing, parts list, diagram, and supporting technical documents. Once built, you have the ability to save, view, and email quotes. Panel customization has never been this easy. Simply follow the intuitive prompts and choose your controller, sensors, panel material and accessories to fit your specific needs. WATCH A LIVE DEMO OF PANEL BUILDER View the recording. Select from Walchem and Prominent Controllers with more controller manufacturers coming soon. Select your sensors and any additional I/O that might be needed for accessories such as flow meters or level sensors. Build your flow panel – choose from 3 different panel materials. Select items such as rotameters, check valves, coupon racks, isolation ball valves and options to mount pumps on the flow panel. Select the flow orientation you need for the installation. Choose from several categories of accessories such as double containment tanks, level sensors, flow meters & chemical pumps to complete your equipment requirements. 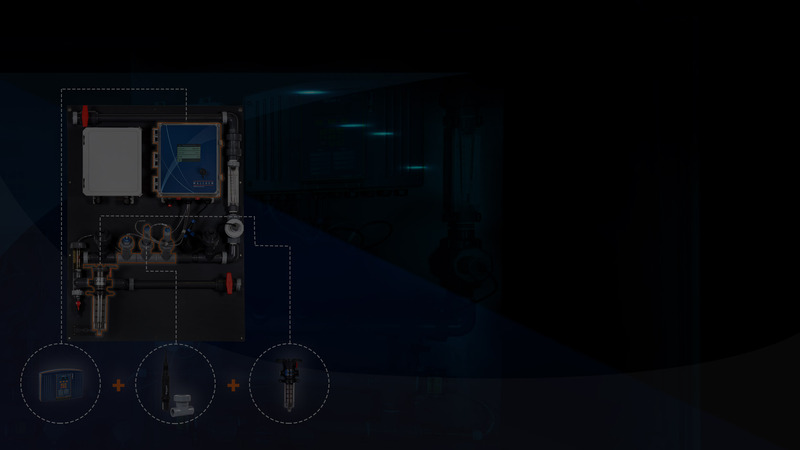 H2trOnics provides the water treatment industry with customized feed and control equipment solutions as well as eServiceReport, the industry’s leading online reporting software.